The UFC handed out three post fight bonus awards after the fights at UFC Philadelphia concluded. 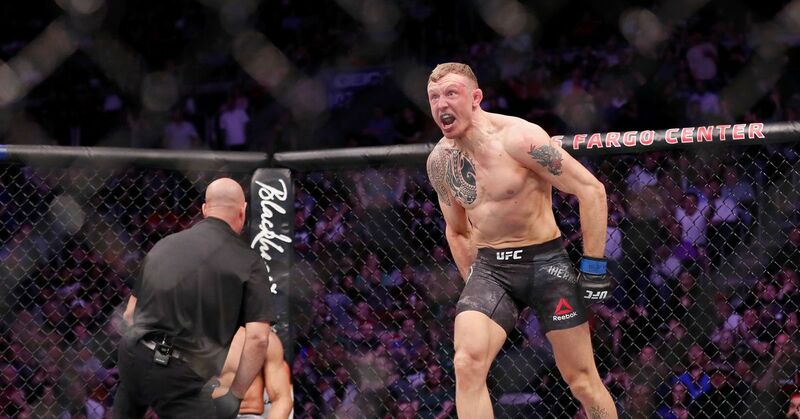 Gaethje, Barboza, Hermansson and Paul ‘Bearjew’ Craig were all rewarded with $50,000 for their efforts on Saturday night. Justin Gaethje entered the UFC as an undefeated fighter and former champion of the dissolved WSOF. In his short UFC career, his five fights have spawned three wins and two defeats. However, its the fighting style of ‘The Highlight’ that makes Gaethje a favorite amongst fan. In all of those five fights, Gaethje has picked up a post fight bonus. Gaethje has earnt three Fight of the Night awards and after knocking out Edson Barboza at the Wells Fargo Centre in Philadelphia, now has two Performance of the Night awards to his credit. The other two post fight bonuses awarded were both to fighters also on the main card. Jack ‘The Joker’ Hermannson, picked up $50,000 in the form of a Performance of the Night bonus, forcing David Branch, a black belt in jujitsu, to tap out to a guillotine choke 49 seconds into the first round. The Swedish fighter improved his record to 19 wins with only 4 losses. After almost going the distance with an inexperienced Nigerian prospect, in a fight plagued with eye pokes and even a point deducted from his opponent, Paul ‘Bearjew’ Craig also picked up a Performance of the Night bonus. ‘Bearjew’ tapped out Kennedy ‘African Savage’ Nzechukwu late in the third round by triangle choke after tenaciously using the submission.